I read this article and found it very interesting, thought it might be something for you. The article is called Is Notebooking Useless Busywork or Real Learning? and is located at https://notebookingfairy.com/busywork/. I am generally surprised when I see critics of notebooking. It is such an open-ended method of learning that I can’t imagine why someone would dislike it. 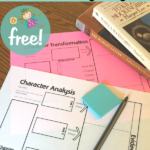 It works for all ages, all subjects, and even for reluctant writers. One criticism I see is that notebooking is busywork. Notebooking can be busywork. I will admit that. You can take a worksheet and call it notebooking, but that worksheet is still busy work. 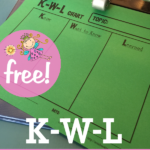 Some printable notebooking pages are really worksheets under a new label. Here is the criteria to find out if a page is a worksheet or a notebooking page: look at the ratio of words to empty space. 1. If the page is mostly empty space for writing, drawing, or pasting, it is likely a notebooking page. 2. If the page has heavy text, many words, and little room for the student’s own thoughts, it is likely a worksheet. Notebooking is a medium for a learner to demonstrate his knowledge. If you try to control that demonstration too much with too many leading questions and too many prescribed blanks, you are veering into worksheet territory. 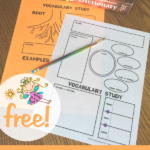 There is a big difference between free reign notebooking (with blank paper on one end of the spectrum) and workbook pages (with small lines to write in single word answers). But notebooking can incorporate everything on that continuum and be very effective for your child’s learning. Worksheets have a place in learning. They can offer a quick review of something you don’t choose to invest a lot of time into. Worksheets can be a great way for reluctant writers to get their thoughts on paper — there is less of that scary empty space. Worksheets can provide a scaffold for students learning how to organize information. The worksheet guides them what to put where. 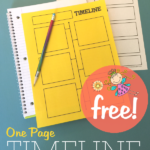 Some of my printables at The Notebooking Fairy fall closer to the worksheet side of the continuum. Examples would be the animal page, country page, and explorer page. Is it bad to use these pages? Goodness no! They are not requiring as much thought as blank pages, but some learners need that help with structuring their research or narration. 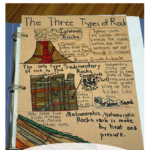 I see these pages as a help for learners just starting out with notebooking, a graphic organizer to springboard to more detailed writing, or a quick assignment when you don’t want to dwell on a topic. Other critics of notebooking associate it with lapbooking. They find cutting out those little flaps silly and tedious. You can incorporate elements of minibooks onto your notebooking pages, but you don’t have to. You can take a scrapbook approach, or you can go with straight text. 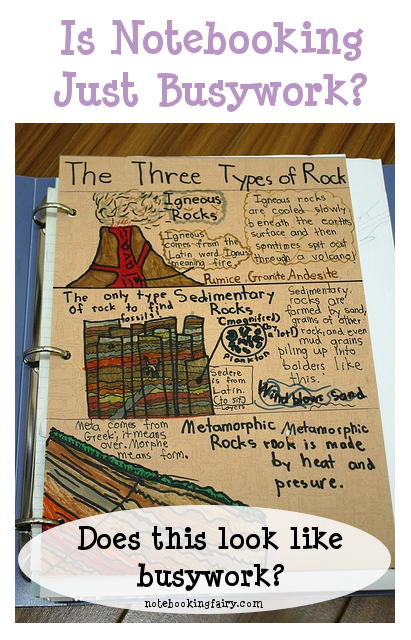 The bottom line is this — does the structure of the notebooking page help your child arrange information? I am not a fan of those silly single flap minibooks that have a question on the outside that the child answers on the inside. That is a glorified worksheet, cut into little bits of folded paper. But if a minibook’s structure reflects the information being conveyed, then that minibook has serious cognitive value. For example, if I’m studying the three parts of an insect’s body, and my minibook has three distinct flaps, I have made a concrete connection between the ideas and the physical book. That is not busywork. That is learning. When you prompt your child to narrate her lessons with an open-ended question, that is not busywork. The writing that follows is composition. This is why notebooking works even in high school and serves to hone your child’s writing skills. Think of each notebooking assignment as an answer to an essay question on a test. That surely is not busywork. In closing, I do want to offer you an escape clause. As I would say for any strategy, if notebooking doesn’t work for you child, don’t use it! There are so many options for homeschool that it’s silly to suffer through something that isn’t working. But don’t discount notebooking because you think it is busywork. 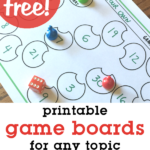 Give it a try, using it as an open-ended way to narrate lessons. Let your child be creative with choosing the structure and the format. You will find it a rich alternative to worksheets and comprehension questions at the end of the chapter. This post is part of the iHomeschool Network link-up Answering the Homeschool Critics. Click to read more answers to common homeschool criticisms. Beautifully put, Jimmie! I can’t conceive of many situations where notebooking would not be an effective tool to organize thoughts as children learn. Great post, Jimmie! I have to say, I can’t stand the pre-digested “lapbooks” that are sold today. You are right, they are just worksheets with a different look. I remember when Tammy Duby first started the lap book. They were original creations by the student about what they learned, and no two were exactly alike because they reflected the student who made them, just like classic notebooking does. I attended a workshop by Tammy many, many years ago too. It’s unfortunate how they have evolved into what people see today with no creativity to them, making them into cut and paste busy work. BTW, Tammy’s book on Lap Booking is fantastic! Lap books done Tammy’s way, and notebooking done your way, is NOT busy work. It’s creative narration at it’s finest. Thank you for this wonderful post Jimmie! I do not think that Notebooking is busywork. Notebooking for my homeschooled kiddo is a way for her to put down on paper, the information that she is learning. Occasionally we will use a prepared sheet, like a compare and contrast or a sheet that has a map and lines for writing. But mostly I have a selection of pages that have lines and a various number of boxes for pictures and she chooses which one she wants to use, she writes what she learned and draws a picture if she wants. Writing things down sets the facts more firmly in the mind, so it’s not busywork at all. I did think right off the bat when I started reading your post that maybe those people are thinking of lapbooking. All the prepared and printable lapbooks I’ve seen are just busywork of cutting out and putting in a lapbook- there’s rarely any part that helps the children retain any knowledge, usually they even have computer artwork so the child doesn’t even draw anything. I love your tip of thinking of each notebooking assignment as an answer to an essay question! Okay that wasn’t short, but I’ve learned worksheets are the death of our school day. This is a great insight, Ticia. For creative, right-brained learners, worksheets are torture. They honestly do not understand how there can be a single answer to a question and how they can fit it into that tiny blank. Here is a question for you, JImmie. 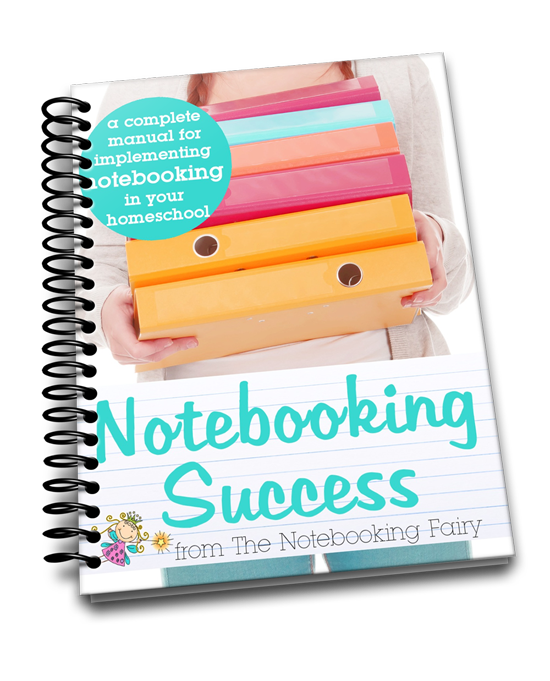 How do you get the free thinker to do notebooking? While my 10 y.o. loves to draw and write, she hates to be told what to do. So we mostly unschool, but I do have a math and LA curriculum that I try to follow (not too strictly schedule). I am trying to incorporate more independent work this coming year, and I thought I could introduce notebooking. Do you have any ideas how to introduce the idea to her without her receiving it as an assigment?? This is a great question! I should attempt it as an entire blog post, but a few brief thoughts here. 2. Show her images of famous artists/scientists who kept notebooks/journals. 3. Obviously, let it be very open-ended.